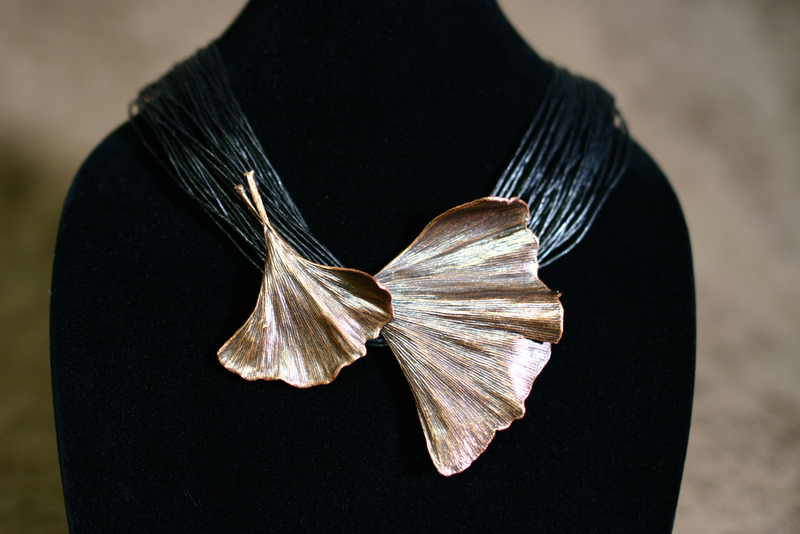 We create natural botanical wearable art and sculpture using a unique copper electroforming process that preserves the original item for eternity. By covering botanical items in copper, then finishing them with precious metals or colored patinas, we make custom, handcrafted pieces of art. Designed by nature, no two are alike. Visit our online store or come see us at a fine art and craft event or flower show near you.